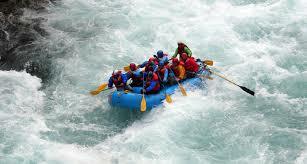 Rishikesh is one of the renowned rafting destinations in India. 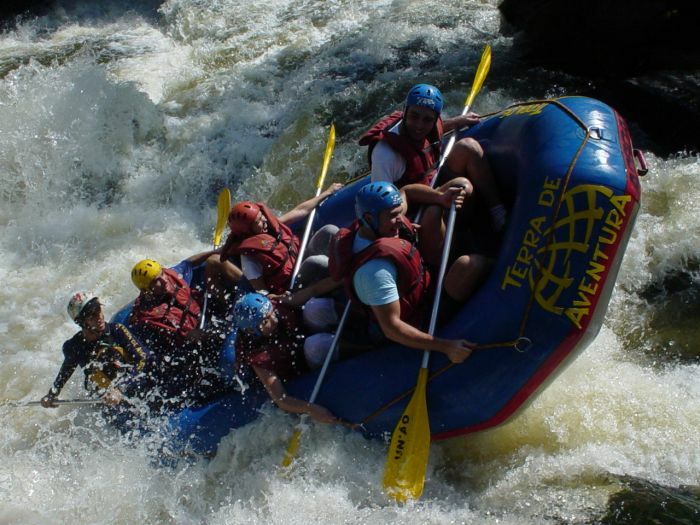 River Rafting Trip to Rishikesh is one of the most sought after adventure trips taken by adventure enthusiasts to keep alive the adventure bug. In fact this short trip is also popular amongst travellers who wish to take a short break from their routine and droning life and to get rejuvenated, perhaps this tour is also regarded as a Best Weekend Getaway. River Rafting Trip to Ganges offers you to encounter some of the best rapids, to get enlivened in the campsite located amidst the serene and peaceful surroundings. Our envoy from Travel Myntra Team will receive you at your arrival point in Delhi (Airport or Railway Station) and will ensure that you are comfortably driven to Rishikesh, World's Yoga Capital, located in the foothills of Himalayas. Rishikesh is a famous religious, spiritual and adventure destination and quite popular amongst pilgrims, Yoga followers and adventure enthusiasts and is famous across the globe. On reaching Rishikesh, check-in at the hotel pre-booked for you and get set to explore the some of the Best Places to see in Rishikesh like Swarg Ashram, Neelkanth Mahadev Temple, Ram Jhula and Laxman Jhula followed by an evening Aarti at the sacred Triveni Ghat. Experience the divinity during Aarti where the entire Ghat is adorned with the oil lamps floating all over River Ganges accompanied with sound of drums and chanting. Once the Rishikesh Sightseeing Tour concludes, return to your hotel and prepare yourself for next day tour. Enjoy your breakfast and hit the road towards Bagwan located around 90 Kms from Rishikesh. On reaching Bagwan receive greetings from Travel Myntra team and get brief orientation on Safety measures. Post orientation, you begin with White Water River Rafting on Ganges and challenge some of the easy and tiny rapids. You can just laze this day out by body surfing, cliff jumping or a short trekking on jungle trails. Afterwards proceed to Amrasu for overnight beach camping followed with bonfire and sumptuous meals. Here you retire for the day and prepare yourself for the next day trip. Savour a rich breakfast and jump into your rafts to negotiate with some of the small and easy going rapids on River Ganges. Today it would be an easy day for rafting till you reach the camping site at Kodiayala located around 35 Kms where you would camp for overnight stay. On reaching Kodiayala, check-in at your camps and enjoy rest of the day by exploring the surrounding places. Afterwards enjoy bonfire and dinner and get retire for the day. Relish your breakfast and jump into your rafts to encounter some of the advance level rapids like Daniel's Dip, Roller Coaster, The Wall, Crossfire, Three Blind Mice, Body Surfing Rapid along with some easy going rapids. The day is best for those who have adventurous streak in themselves. After rafting for around 35 Kms you would arrive in Rishikesh. On reaching Rishikesh, enjoy your lunch and prepare for your onward journey to Delhi. On reaching Delhi, our envoy will ensure that you are comfortable transferred at your location or at the departure point (Airport or Railway Station) in Delhi. The River Rafting Trip to Ganges ends here with fun thrilling memories.